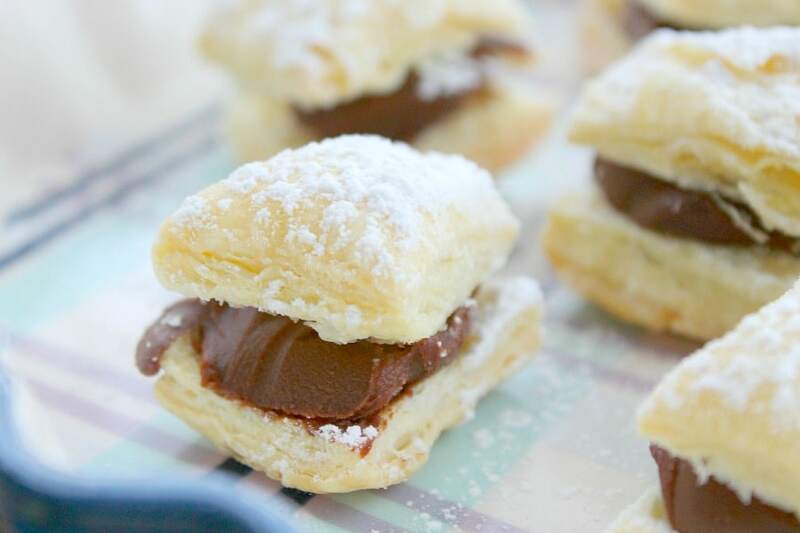 Four ingredient puff pastry dessert that brings alive these Miguelitos with Chocolate dessert! When I was in 5th grade, we had a social studies project where we had to “take” our class to a different country. It was my favorite project ever in school. The reason that is, was because my group and I were able to cook for the class. We had to make dishes that related to the country that we were visiting. Some went to Italy and made pasta. We let them watch a movie about the country and the dinner they received was foods that represented where we were about to visit. My daughter is in 9th grade and in her spanish class they could earn extra credit for bringing in an authentic dish to share with the class and this reminded me of my 5th grade project! She immediately said she wanted to make Tres Leches Cake. I told her no, we should try to find something more authentic and less common. Something that neither of us had heard of before. 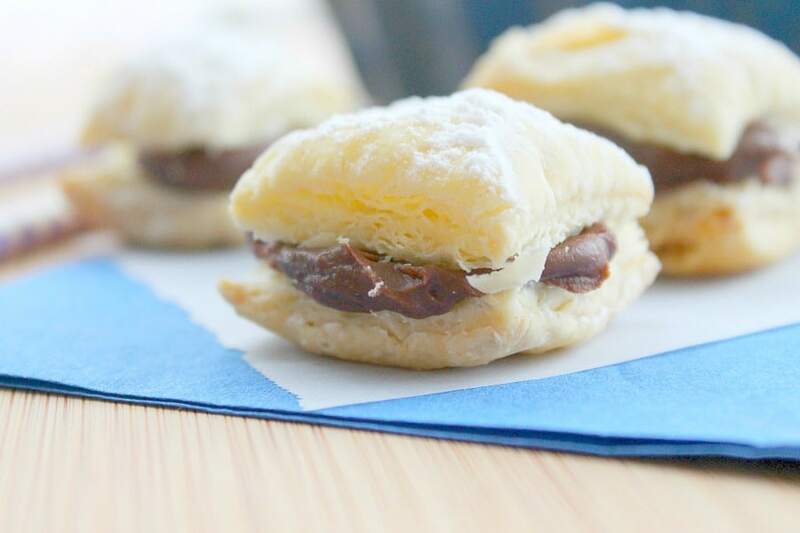 Well we found Miguelitos de Chocolate or Miguelitos with Chocolate, which is a pastry made with puff pastry and chocolate sandwiched in between them topped with powdered sugar. 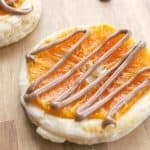 We were so excited to find this because we had all of the ingredients to make it right at home! 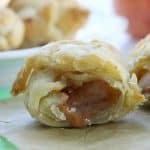 You can find miguelitos made several ways. One way is after they are baked they can be dipped in a honey syrup and cooled. 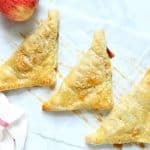 Another way is to cut them in half and fill with a pastry cream. The last way was with chocolate! Obviously chocolate was our choice! 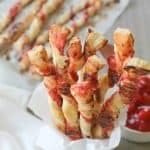 These are so simple to make, even your kids can do it! My 14 year old made them all by herself and they were a hit! ENJOY! 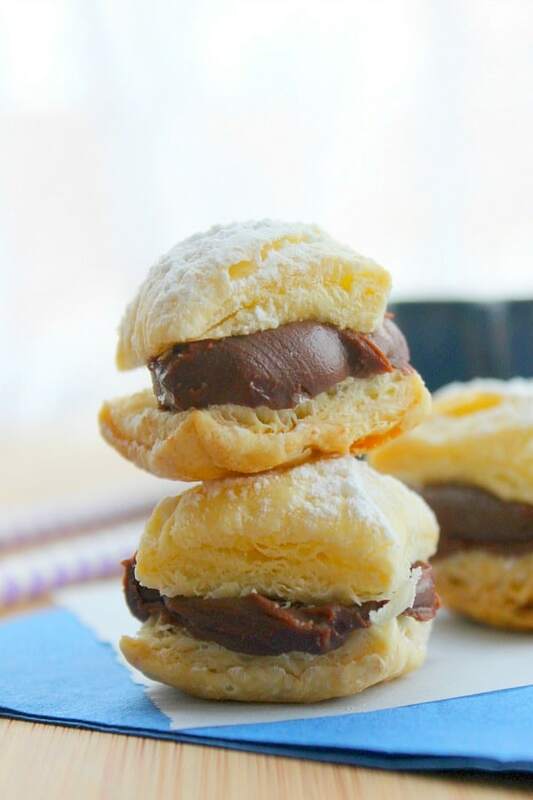 Make sure you head on over to Food Fanatic to check out this Miguelitos with Chocolate Recipe!